How are you deciding when it has risen enough? The first rise I do in an old pitcher with ruler markings on the side. All the recipes say double in size, its easy to know. The second rising in the pan I wait till it rises an inch above the pan wall. ...over proofed to me. Try catching but sooner. You say you fill the loaf pan and wait till it's risen about an inch above the rim but how much do you fill it and what flour are you using? Better still, what's the recipe? 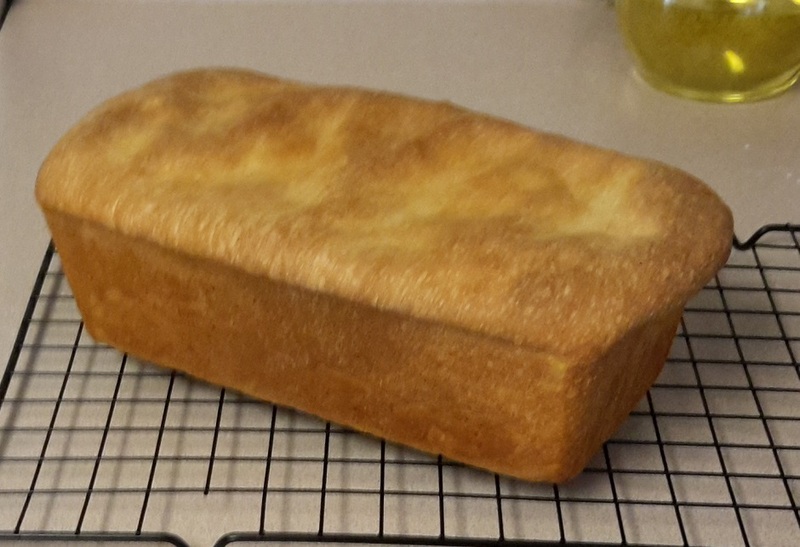 How big is your loaf pan? I just kicked off another batch and will stop first rise about 80%. I think I am on gen purpose flour this time. This time I added a bit more flour so it is not as sticky as before. is in the final proofing. The bulk ferment is done when the dough is aerated, billowy and has a good matrix of bubbles. I'm also thinking, after a quick conversion of your recipe, that perhaps your dough isn't filling the pan enough. I'm thinking you've got a 2lb loaf pan but your dough is closer to 1.5lb. I was going to comment on the seemingly high amount of yeast but then again I don't do recipes like these and since you have quite a bit of sugar in there perhaps the yeast will need a boost. But if we assume your pan is for a 2lb loaf then it's falling short of about 120g of dough. Then you wait till it crests the top of the pan by then it's over proofed. So try filling it more. Thanks for the info, I will try the next batch. I did a second test yesterday and snapped a few pics if it will help. It turned out better than some. I cut the first rise shorter then the previous. I agree. 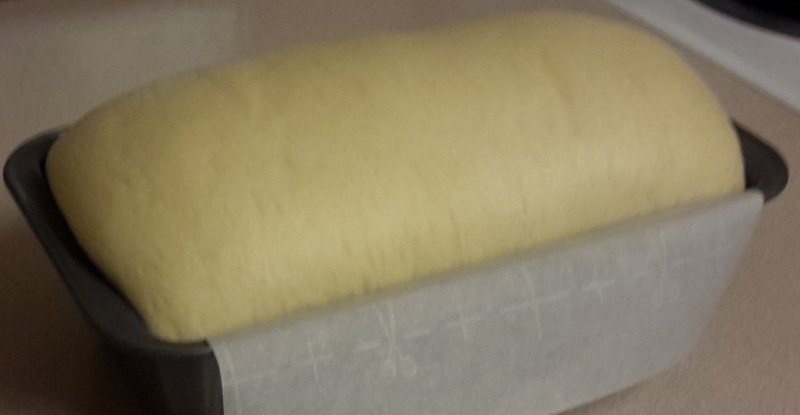 I also believe the dough is "over proofed". Excellent. I will try again in a few days and cut it back even more. Give the dough a poke with your finger and judge how it "recovers". That is the best way to tell if it risen enough. I agree that over proofing is most likely your problem. I had the same issue basically and ask about it on this forum first thing after joining. I was using too little dough for the size of my pans. 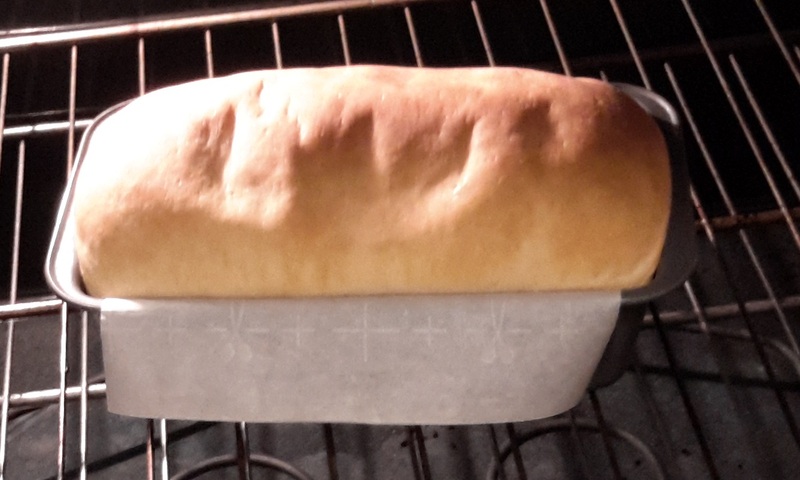 The answer I received on how to find the amount of dough is here http://www.thefreshloaf.com/node/59487/loaf-pan-size-and-oven-spring It solved my issue and I now get nice oven spring when the loaves are risen about 1 inch above the pan edge. When I did the measurement of water to fill my pans it was 1900 grams so I needed about 1000 grams of dough. If you don't have a scale you really need to get one. It will allow you to adjust your recipes accurately for different hydration rates and ingredients. Thanks all,I tried doing the math for the pan size with as well as cutting the first rise short with not much difference from past tests. 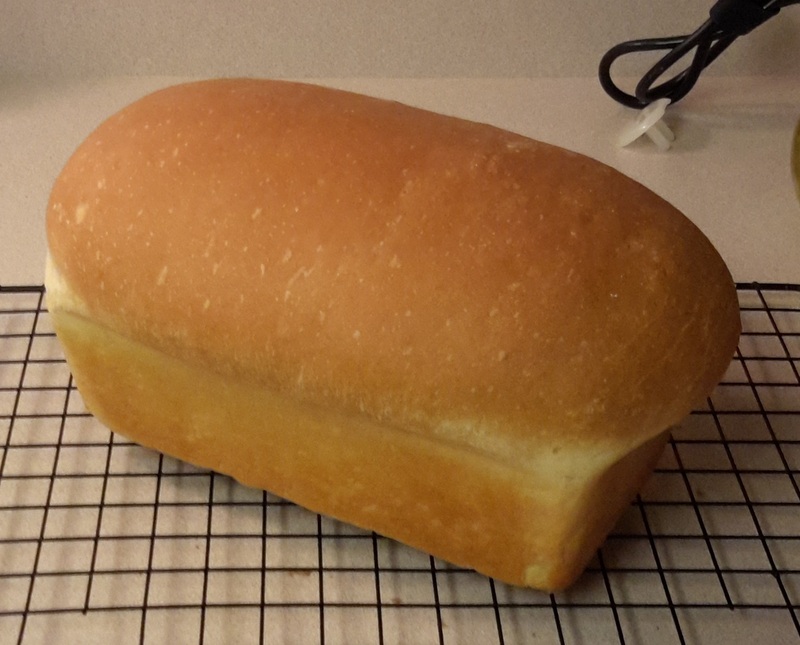 I did a test tonight (after I bought a commercial loaf this afternoon) with a pic below. 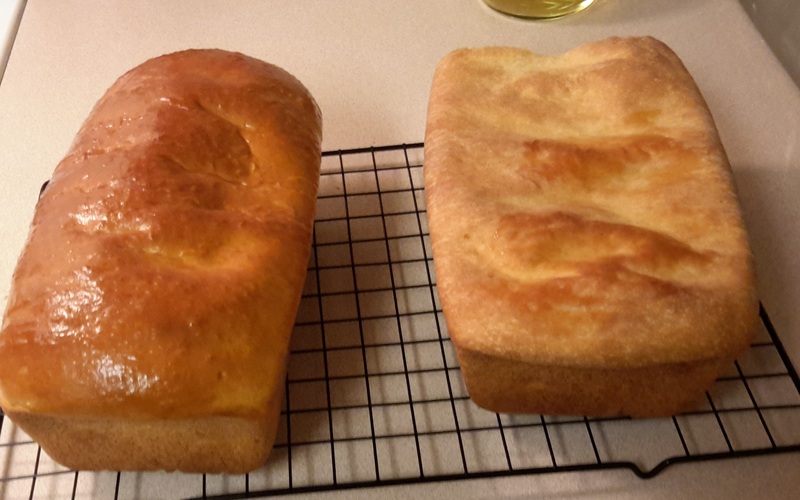 This batch I cut the first rise at about 25% and used a recipe that used more flour than before. Previously the dough was a little sticky to the touch. This recipe wasn't sticky and nothing was left in the mixer bowl unlike previous recipes. It is a trend of one, but will try again in a few days. Thanks again for the suggestions.